With almost two months officially down, 2018 is already underway and as we gather – it’s set out to be a year of innovation and growth for the construction industry for the region. 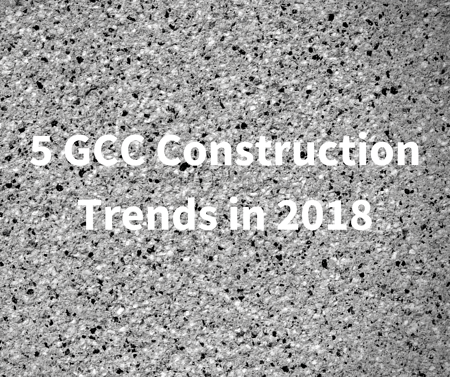 As suggested by a top Khansaheb Civil Engineering official, when compared to last year, we should expect to see a ‘flood’ of new projects hitting the UAE construction market in the first quarter of 2018, followed by a smooth flow of orders throughout the rest of the year. Besides implying consistent growth, this means that when operating in an industry that is gaining momentum by the day, it remains crucial for all players to stay well informed on what changes may come their way and improve or disrupt their plans for the year. 3D printing has been a growing trend over the past year in countries like China and the US and is expected to make an appearance in the Middle East soon. What was a nascent technology just a few years ago, used to create basic plastic models, is now one of the favorites of the Chinese construction industry. Dubai based construction and design firm Convrgnt Value Engineering recently won the contract to design and construct the world’s first 3D printing laboratory building that is scheduled to be completed this year. This project reflects Dubai’s ongoing efforts to accomplish and meet The Dubai 3D Printing Strategy deadline which according to Saeed Mohammed Al Tayer, MD and CEO of DEWA is a unique global initiative to use technology for the service of humanity, and promote the status of the UAE and Dubai as a leading hub for 3D printing technology by 2030. Green is the new black in the world of construction and has been a topic of conversation for more than a decade now. While we all make our own conscious steps as individuals towards helping the environment, there is a greater responsibility on the construction industry to develop products and working practices that ensure the structures built are doing the least harm possible. There is a rising requirement locally with the introduction of legislations such as DGBR and Estidama systems for features like energy management systems, solar panels and passive building designs that conserve energy through temperature and sustainable building materials. Masdar City for example represents the first attempt in the Middle East to build a sustainable city and aims to reduce the use of energy and water and the generation of waste. It also houses the headquarters of the International Renewable Energy Agency, an intergovernmental organization that supports countries in their transition to a sustainable energy future. Furthermore, as providing sustainable environment and infrastructure is one of the six pillars of the UAE National Agenda we can expect to see increasingly green business models and a focus on ecological benefits in 2018. In 2017, we have seen a steady increase in the price of materials. Due to the fluctuating rise of prices of supplies and skilled labor, many construction companies may be put in a tough spot this year. According to several reports, prices are expected to stay high for a while, indicating to construction companies to plan ahead and consider saving costs in order to sustain their competitive advantage. Additionally, the introduction of VAT is expected to result in an overall moderate increase in material costs -this explains why various local developers like Emsquare Engineering Consultants smartly placed orders in 2017 to avoid the 5 per cent additional surcharge this year. Regrettably, the industry is prone to a significant number of workplace accidents which have placed a hefty scrutiny on the industry over the past few years. Fortunately, the emergence of virtual reality (VR) simulators are helping companies tackle this very important issue head-on and thus in 2018, we expect to see the implementation of better safety practices. Through VR, construction companies can offer enhanced safety training to their teams through immersive experiences of real-life critical situations across a number of areas such as worksite fire accidents, crane operation or structural failures. We’ve shared a few trends shaping the front-end of construction, but what about the back-end? To keep up with a tough and competitive market, construction firms are turning to different platforms such as ProTenders, that are designed to help their teams perform better. One example is eTendering software used by major developers such as DAMAC and ADCE to automate their tedious tendering processes and focus on enhancing efficiency and decision-making. Similarly, another example of software integration is the increasing use of construction intelligence platforms that offer companies invaluable market data such as project participants, key dates, construction stages and much more. These two solutions are proving advantageous to companies that choose to invest in them. As more and more professionals and teams experience the benefit of digital, we anticipate that this trend will become the standard protocol for expanding networks and growing business within the industry. So there you have it - 5 trends that we predict will make it big this year in the region! For more information on how ProTenders can help your business grow sales or bring efficiency and cost-savings to your eTendering process, speak with one of our consultants. 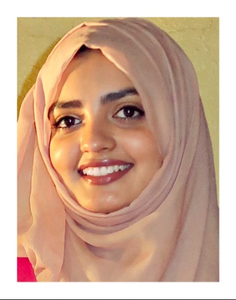 A social media enthusiast that strongly identifies herself as an Indian but calls UAE home. A Marketing graduate with proven academic excellence as a Dean’s merit student and recipient of Leadership awards. An active member of various extracurricular activities, attended international MUN conferences, volunteered at charitable events and interned in media and marketing agencies.